..at least in my eyes. It began with the Iron Sleet (un)Invitational. I was rather bold and stuck my head out and tagged along on something that wasn’t directly intended for those not invited per se but it quickly expanded. The Merciless was in many ways a bridge into the world of INQ28 for me. Both in the sense that building and painting something just for the fun of it and not care for rules or the logic of game mechanics was alien and almost scary but also how difficult it was coming up with something good. I think that the “chains” of normal list building did that and that it was much harder to shake it off than I first thought. All in all though the Merciless was a great experience and it ended as a rather large and weird ensemble but in hindsight it does lean towards the goofy (in a charming way). Then it came round to doing something “on my own”. I was like a lot of people really enthusiastic about the admech releases and I bought all of the codices. 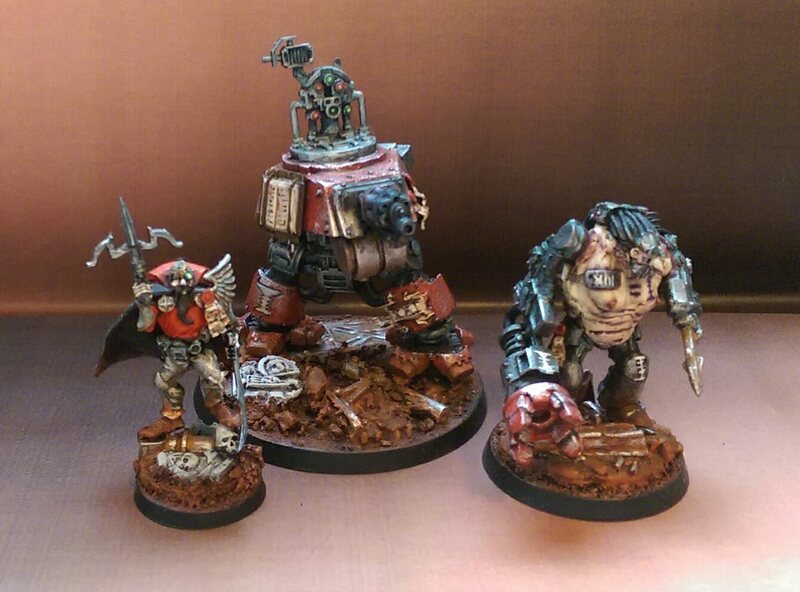 That in itself resulted in my Dark Mechanicus army but it also led to the Info-Executioners. 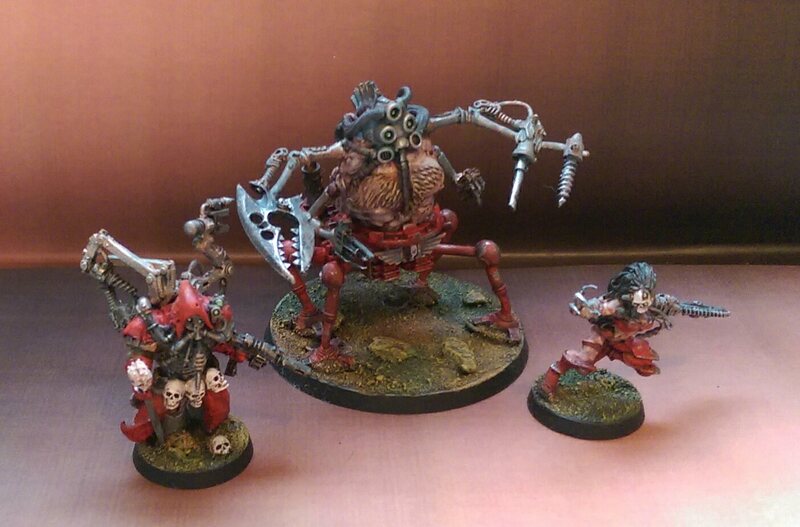 Taking inspiration from a page in an old WD where JB used various metal miniatures as the base for converting ecclesiarchy as well as a mysterious title I found in Cult Mechanicus I made these guys. 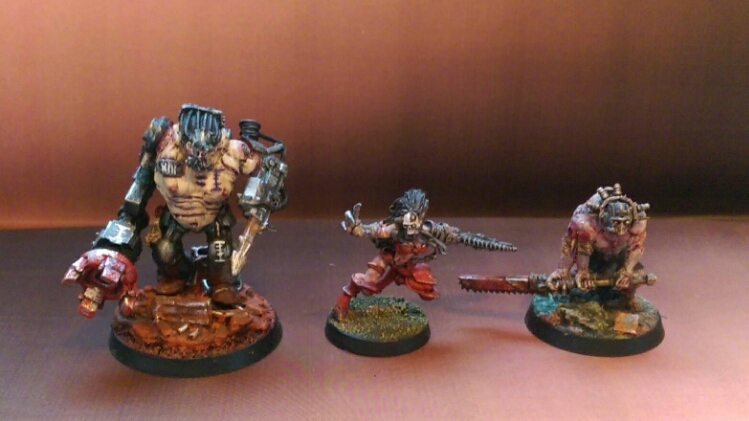 Here’s actually the first time I painted my bases in which has become my standard style. I’m also starting to loosen up here and I think a lot of the ideas here are quite good. After this quite a lot of water went under the bridge without painting anything. I think it had to do with not being pleased with my own level. I did however build quite a lot. My first proper truescale marines and some Sisters of Silence. I also started with Matters of Arcane and Magic but throughout it all something irked me. As far as INQ28 went I was recreating not creating. Then I found out that WilhelMiniatures was from Norway and the Nestorian Infestation project was born. 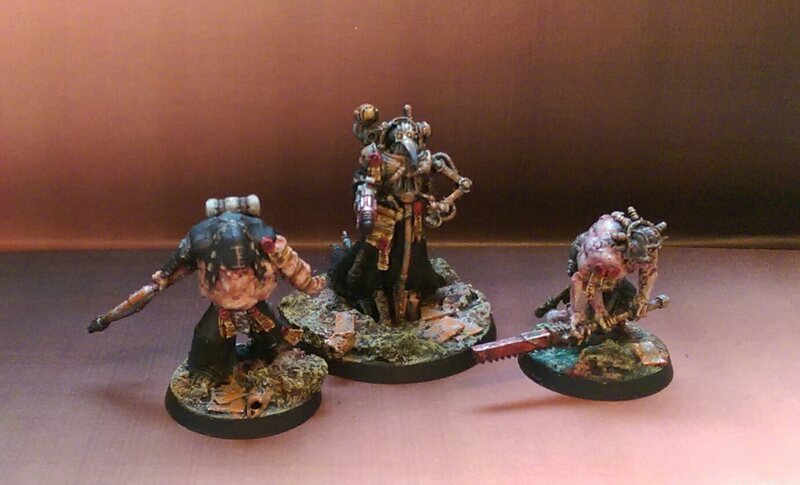 Here’s some more comparison pictures, from left to right; Merciless, Info-Executioners and Nestorian Infestation. 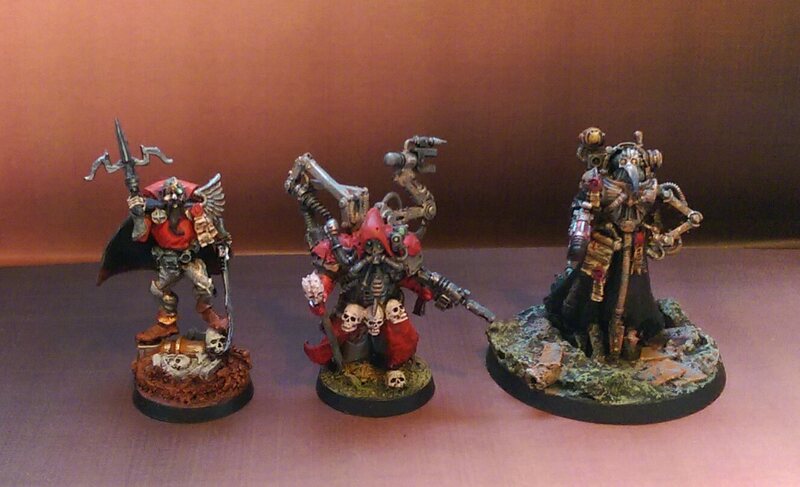 How do you see my inquisitorial evolution? The strides you have taken in your modeling abilities over the last year are quite astounding. I am so happy you decided to take part in the Invitational, both selfishly because it allowed me to discover your work, and altruistically because it was an opportunity for you to try something new and push yourself creatively. The Merciless was an excellent start, a maelstrom of disparate ideas, coming together just as chaotically. Your newer models are a lot more nuanced and precise, yet still a wellspring of ideas and innovative parts use. Keep up the great work, and I cannot wait to see what is next! 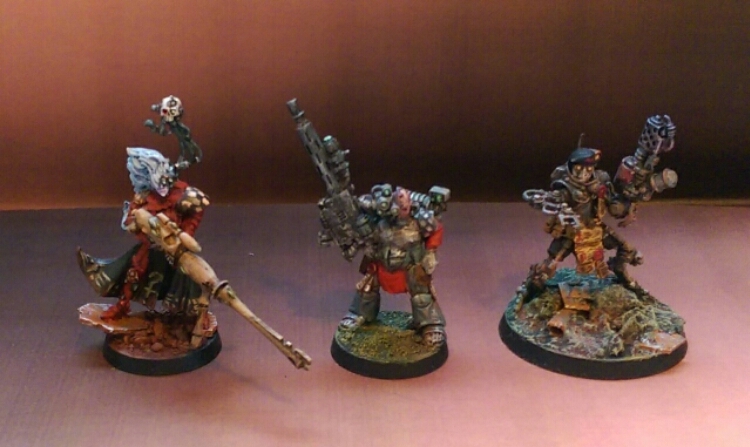 As Wilhelm has set the bar pretty damned high on his cult I’ve cooked up something special to try and match that. Stay tuned for that! Oh, you’ve clearly come on a long way with this mate, it is so true that a list building mentality can limit your creativity – sure, you can push your modeling & painting, but it is still restrained by ‘the list’, and is almost always ‘out of the box’. I think that the RPG side of Inq28, (and Rogue Trader), are where it’s at, and it is no wonder that those who move in those circles are making the biggest waves. Cheers Alex 🙂 Yeah I’m very comfortable with where I’m going at the moment and I have no plan on turning away from the path I’m on. Those are some awesome models! Very inspirational stuff.